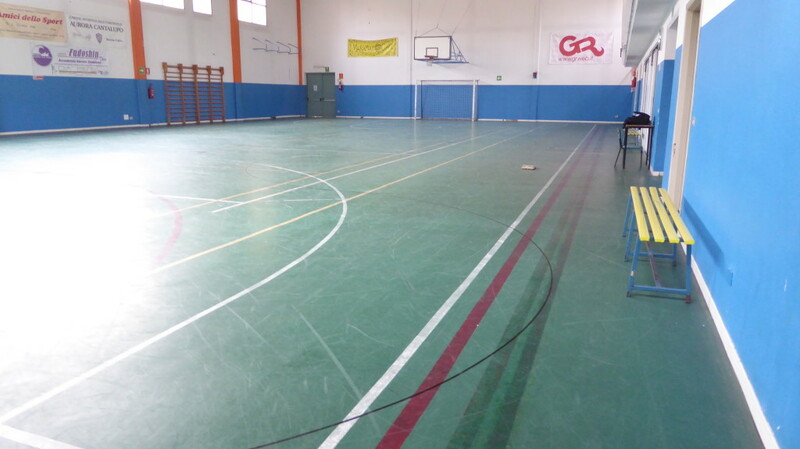 Small but beautiful … and full tracking of each order to host basketball games, football 5 and volleyball both longitudinally and transversely. 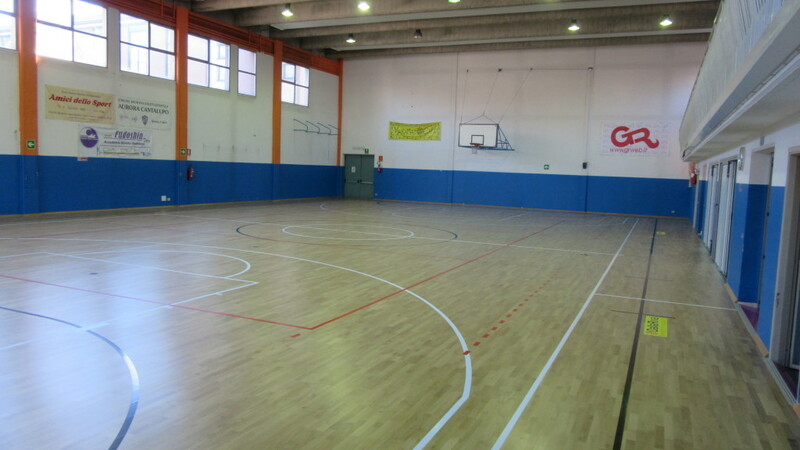 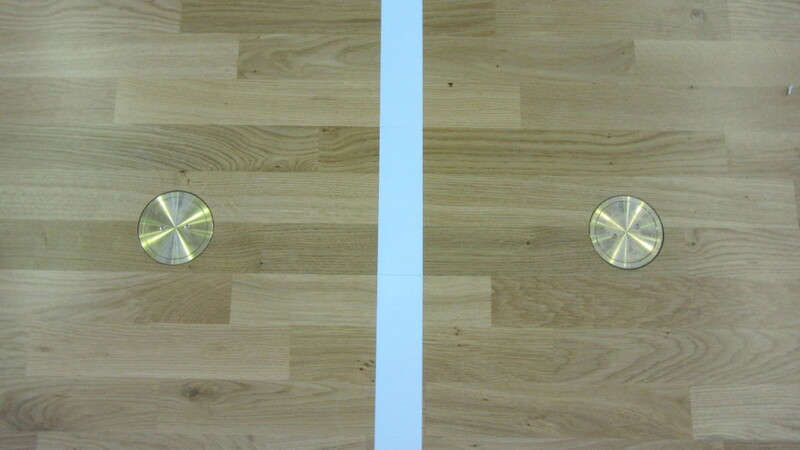 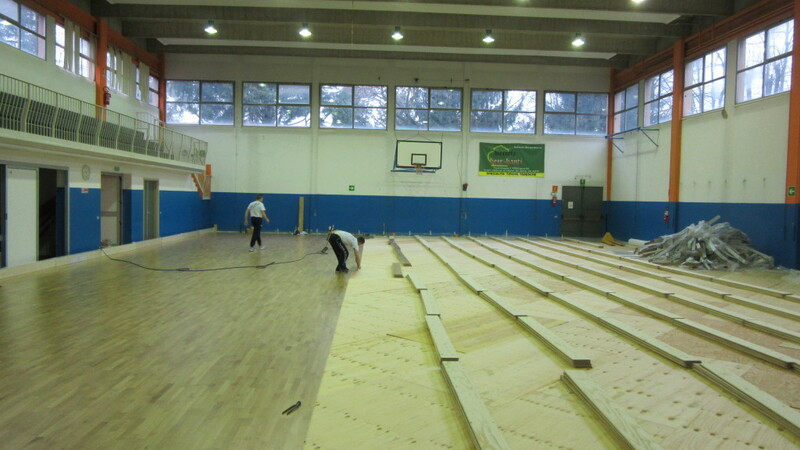 The sports floor of Cerro Maggiore gymnasium (Bergamo, Italy) was built in just four days thanks to the overlapping system of resilient material that Dalla Riva Sportfloors adopts with more and more frequency. 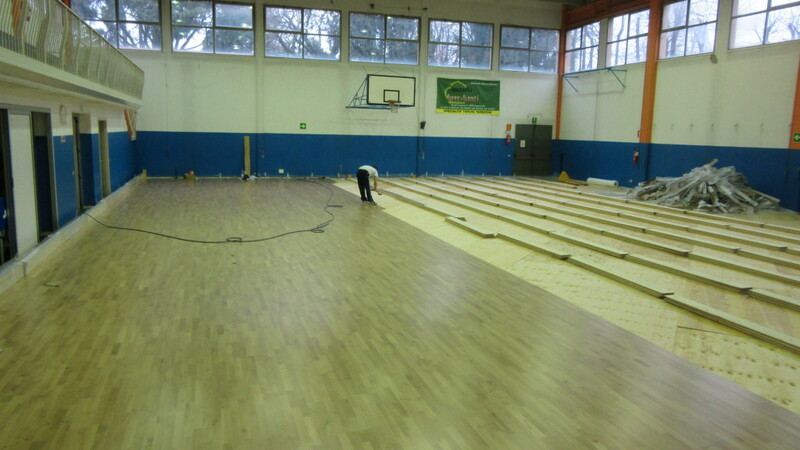 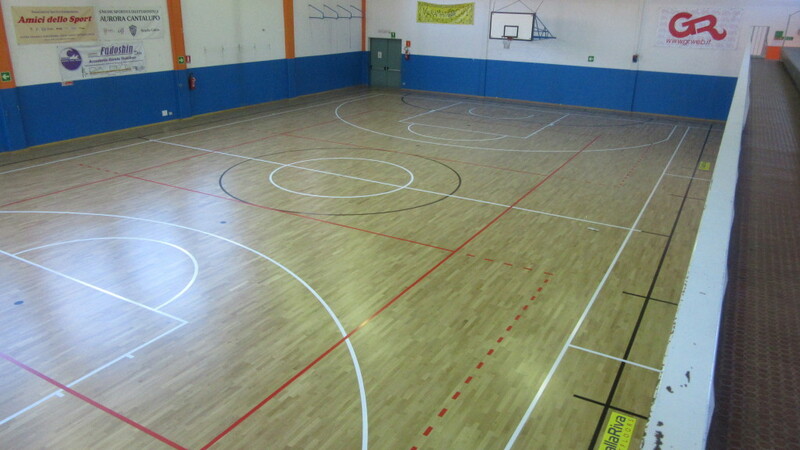 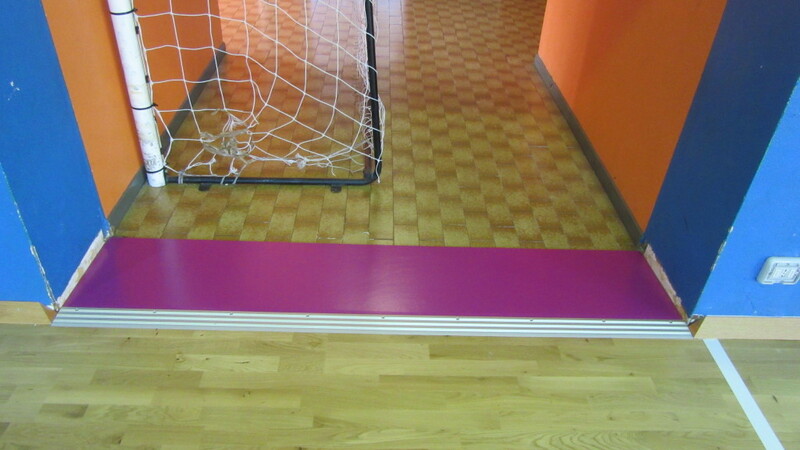 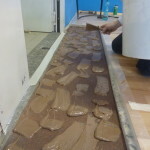 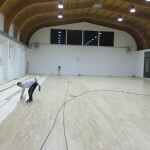 Instead of removing the old flooring in existing PVC and then disposed of in landfill, the Montebelluna company installed a new sports parquet Playwood S. 14 in oak. 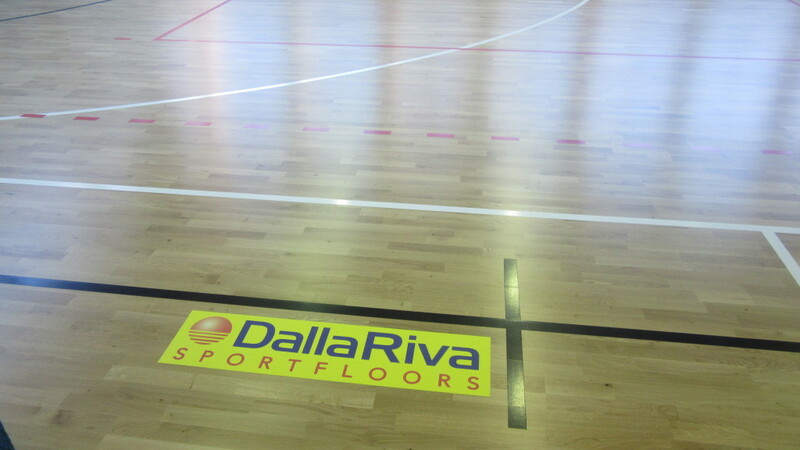 The entire package, as well as approved FIBA, is specially certified for reaction to fire in accordance with the law EN 13501. 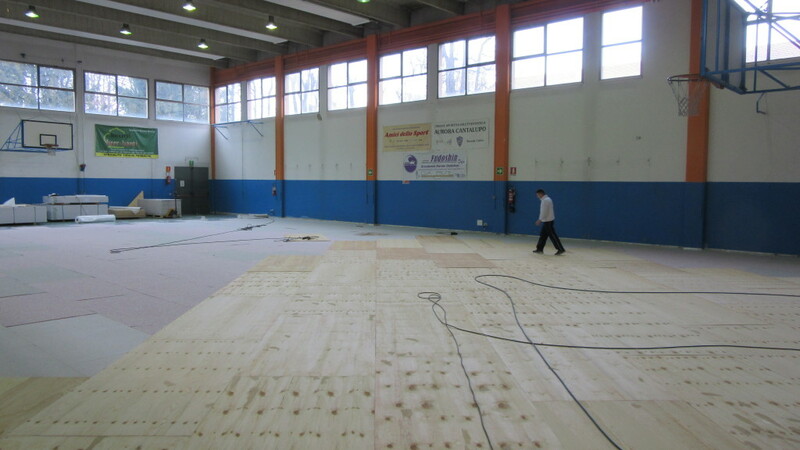 With this unique method, in addition to a clear reduction of time, costs are reduced considerably.